So goes the great British maxim usually applied to buses, in this case however my Concorde quest and a visit to the new Aeroscopia Museum in Toulouse which I visited before speaking at the 2016 Toulouse Space Show. The new Museum contains a really well presented collection of interesting aircraft including this lovely Airbus owned Messerschmitt Bf109G. 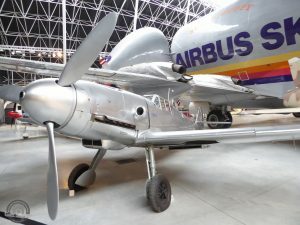 I have a album of photos here of the collection as well as the nearby Association Ailes Anciennes Toulouse site which feels like a small gallic version of Tuscon’s boneyard. Of course the main reason for my visit was the unique opportunity to visit two preserved Concorde aircraft within 100m of each other as Aeroscopia in the home to Concorde 201 F-WTSB and Concorde 209 F-BVFC.